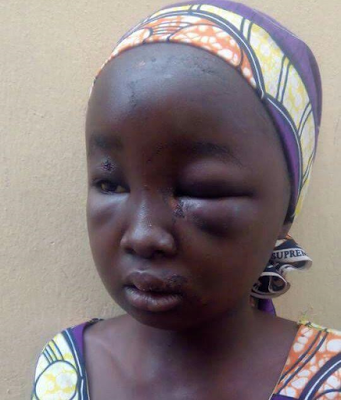 The Senior Magistrate’s Court 34, sitting at Rijiyar Zaki, Ungoggo Local Government Area of Kano State, has remanded one Saminu Umar for brutally beating his ten-year old daughter. According to Daily Nigerian, Umar beat Naja'atu for visiting her uncle without his permission. The loud cries of the girl drew neighbours’ attention, who overpowered the father and rescued her. The police arrested him and charged him to court after spending a couple of days in their custody. The young girl may lose sight due to magnitude of injuries she suffered during the attack. DAILY NIGERIAN further gathered that Mr Umar had divorced the victim’s mother about eight years ago, leaving her in the hands of his new wife. The defendant pleaded guilty to the charge. Speaking after the court session, he expressed regret. "It is a harsh decision, Umar said. "It is nothing but the act of the devil. I really regret my actions"